We can’t know for sure whether the OnePlus 2 is a “2016 flagship killer”, but one thing’s for sure, the device is one of the most anticipated smartphone at the moment. 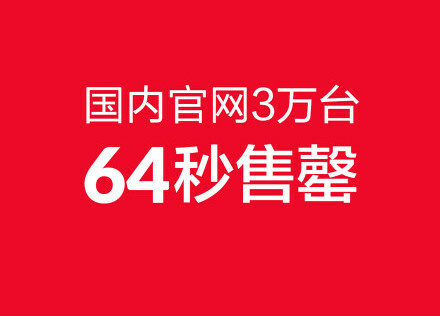 The device went on sale in OnePlus’ website in China, and it sold 30,000 units in mere 64 seconds. OnePlus recently begun selling the OnePlus 2 in China however, unlike the rest of the world, it’s a flash sale on OnePlus’ Chinese website and anyone can buy it without an invite. How did it go? Splendidly of course, OnePlus posted on its Weibo account that 30,000 units of the OnePlus 2 were sold in just a little over a minute. Sadly though, they did not provide a break down on the number of units sold for the individual models (3GB RAM + 16GB Storage or 4GB RAM + 64GB Storage). 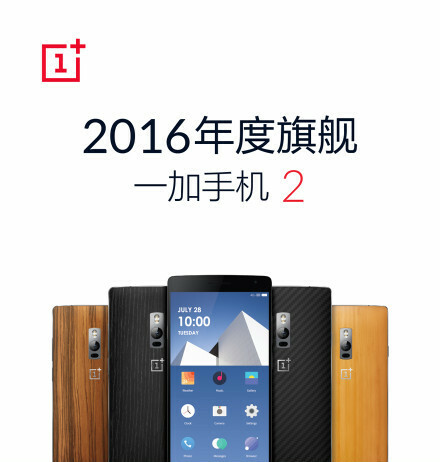 The OnePlus 2 is the hottest flagship smartphone at the moment, mostly thanks to its very affordable price tag starting from US$329 in the US, or 1,999 Yuan in China (Sandstone black, 3GB RAM and 16GB storage). The more premium version with 4GB RAM and 64GB of internal storage retails at 2,399 Yuan (about RM1,500), and an additional 100 Yuan (RM62.50) is required if you wish to change the back cover. Check out our previous post to find out more about the OnePlus 2. How many of you are getting the device as soon as you receive an invitation?